If you’re anything like me, you look up from your second (or third) cup of coffee and realize it’s no longer January…um, WHAT? February is pretty much almost half way over now, and Valentine’s Day is here. Okay, that might be a bit of an exaggeration… I love to give gifts for this day of love, but we’re on a budget since we are still recovering from Christmas, amirite? I’ve compiled some great gifts for the men, women, and kiddos in your life that won’t break the bank! Slippers – See above. They will continue to wear the freebie slippers from your honeymoon until they fall apart. Date night cards – 50 Date night ideas already thought out for him – and you! Command center – This holds their phone, wallet, keys, rings, change, etc. I thought this was super cool. Without personalization it’s under $30, but if you want to personalize it, it is a little more. Gym bag – A subtle reminder that they need to get back in the gym. haha just kidding, but it is a useful gift! Tee – To replace the ones with holes, paint splatters, other mysterious stains. Silk pillowcase – I just ordered one because I have heard so many girls raving about theirs. It is supposed to be much gentler on your skin and hair than a normal pillowcase! Bath bombs – how cute are these? Such a fun little way to pamper her! Strawberries – Let’s be honest here, Ladies, just order these for yourself. I know I am. Pj’s – These look very similar to my Victoria’s Secret Pj’s I have had for a few years now…but half the price! Unicorn – Who doesn’t want to snuggle with a soft unicorn? Bath bomb kit – I wish I had this when I was 13! Play doh – I mean, it’s play doh. Maze – This is a magnetic counting maze… My boys would love it! Book – We just started watching the new Llama Llama Red Pajamas show on Netflix! Jennifer Garner is Mama Llama. I think we need to start a Llama Llama book collection. Star wars legos – ah yes, two greats combined in one toy. Star Wars. Legos. What else does a kid need? 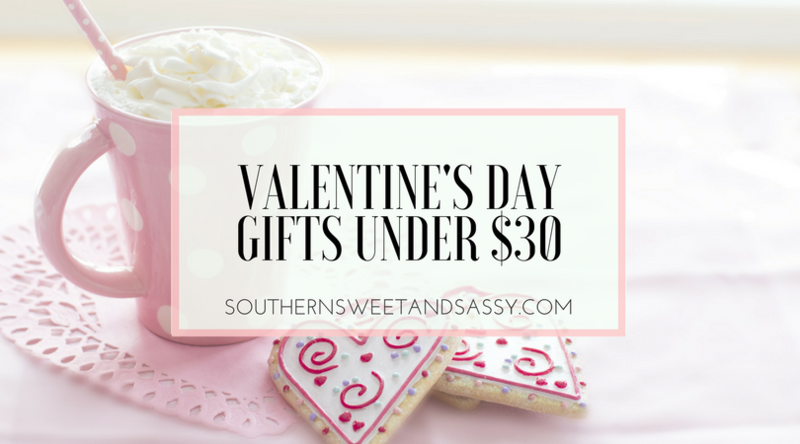 Hope this list helps you in your search for affordable but thoughtful gifts for all your Valentines! What are you wanting for Valentine’s Day? Great For Him ideas! I always have a hard time finding something for my husband. I think he’d like the slippers! These are great ideas, Jord. Logan still wears the free bathrobe from our honeymoon, so that slippers comment made me laugh! Those date night cards are fun! Haha that is too funny! Just another way we both married someone just like our Dad!